What is the Clay Center hoping to accomplish? 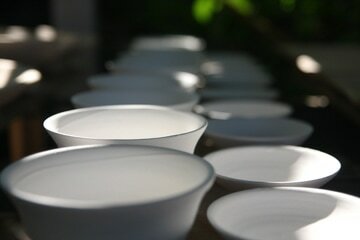 To improve the quality and diversity of ceramic art facilities available to the general public. To improve the quality and diversity of community-oriented ceramic art classes and workshops available locally. To significantly increase the amount of quality contemporary ceramic artwork being exhibited in New Orleans. To draw new ceramic talent to the city from other parts of the country. To connect the local ceramic art community to the larger national ceramic art community. To provide greater physical and financial accessibility to ceramic art opportunities. 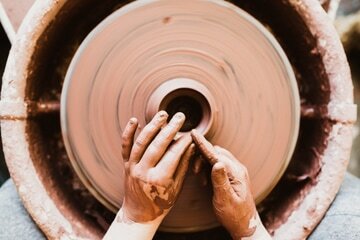 To create an economically and socially diverse community based around the joy and challenge of creating in clay. To create professional opportunities for local and national ceramic artists. How specifically will the Clay Center achieve these goals? Create a community-oriented facility that incorporates exhibition spaces, classrooms and individual studio spaces, along with a sales gallery, a ceramic supply shop and a kiln area with both electric and atmospheric kilns. Develop a Community Education Program that will offer community-oriented classes and workshops taught by nationally recognized ceramic artists. Develop an Exhibitions Program to regularly show quality contemporary ceramic artwork from New Orleans and from other parts of the country. Bring new ceramic talent to New Orleans through a Resident Artists Program. Develop a Community Outreach Program to bring ceramic art education to those who might lack the financial or physical means to learn at the Center. Help us bring high-quality ceramic art opportunities to New Orleans by donating to our crowdfunding campaign! No donation is too small and all are tax-deductible!